Cape Town - Chelsea star Eden Hazard has spoken highly of Belgium team-mate Kevin de Bruyne, claiming that he is currently the best player in the Premier League. 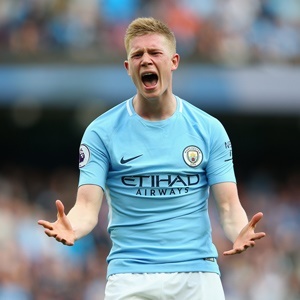 De Bruyne has been in sensational form for Pep Guardiola's unbeaten Manchester City this season, scoring two league goals and assisting six others. Hazard, who won the PFA and FWA Player of the Year awards in 2015, believes his Belgian compatriot has outshined everyone else in England's top-flight this campaign. “Kevin is definitely the best player in the Premier League at the moment," said Hazard, according to the Daily Mirror. Hazard and De Bruyne are preparing for international friendlies against Mexico and Japan on November 10 and 14 respectively.